Last week, we talked about some great fall activities around the state, but this week, we’re talking all things spooky; it’s Halloween time, ghouls and gals! From the tame to the terrifying, from family friendly to adult, costume-based to pumpkin based to scare based, we have a list here of some delightfully macabre events that are, well, to die for! And what about those of you who may not like to or can’t go out for Halloween festivities this year Well, we have some easy tips and tricks for you as well to make this Halloween season your most spooktacular yet! The following activities and attractions have multiple options for visitors. Would you prefer to be inside or outside? Participating in a costume contest? Walking through a haunted attraction, hearing ghost stories, or something entirely different? We’ve mentioned the Sleepy Hollow experience before in our article on life in Chillicothe, but it’s worth mentioning again here! The Sleepy Hollow Experience will take place Thursday-Sunday, October 4th-31st, 2018. This outdoor, immersive theatrical experience will be sure to make heads roll with a performance in the Sugarloaf Mountain Amphitheater, as well as an escape room, and a haunted trail/laser tag maze. 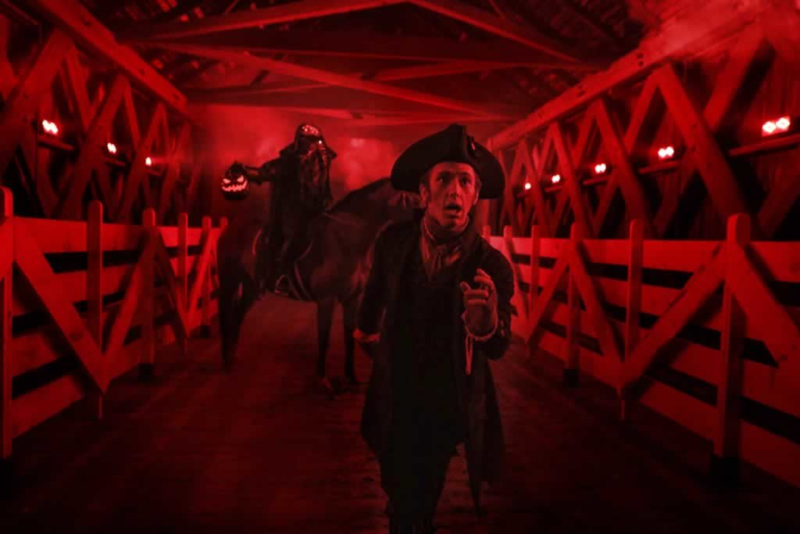 The show follows a group of residents in Sleepy Hollow as their town is plagued by mysterious goings-on and culminates with both the characters and you the audience coming face to face with the infamous Headless Horseman! The haunted festivities start at 7pm and the last tickets for the evening are sold at 11pm. If you can’t make it to the actual town of Sleepy Hollow during the month of October, this may be the next best thing. Learn about the spirits that have been seen, heard, felt and smelled in the neighborhood surrounding the Wauseon Depot and the Fulton County Museum. This museum was a former school and county hospital, and the railroad depot apparently has travelers who have never left the station! The tours leave every 15 minutes and are very small, having no more than 12 people per tour group, and occur rain or shine. Each tour is guided by a storyteller, walks last approximately an hour, and the last two tours of each night are reserved for guests 18+; ordering tickets ahead of time is highly recommended, and the tours will occur every Friday and Saturday in October through November 4th. Hauntville is not your normal haunted house attraction. Located 20 minutes outside of Cleveland, this haunted environment consists of 5 attractions that transport you to a different world where the only thing that’s certain is fear. These attractions include “CellBlock 13”, the “Butcher Barn”, “Psycho Manor”, “Wicked Clowns in 4-D”, and “The Unknown”. While the first three of these attractions are pretty self-explanatory, “Wicked Clowns in 4-D” is the first attraction of its kind, using 3-D effects, physical environments, and smells to evoke a frightening atmosphere, and “The Unknown” uses your own worst fears against you for an intense experience that is unique to everyone. 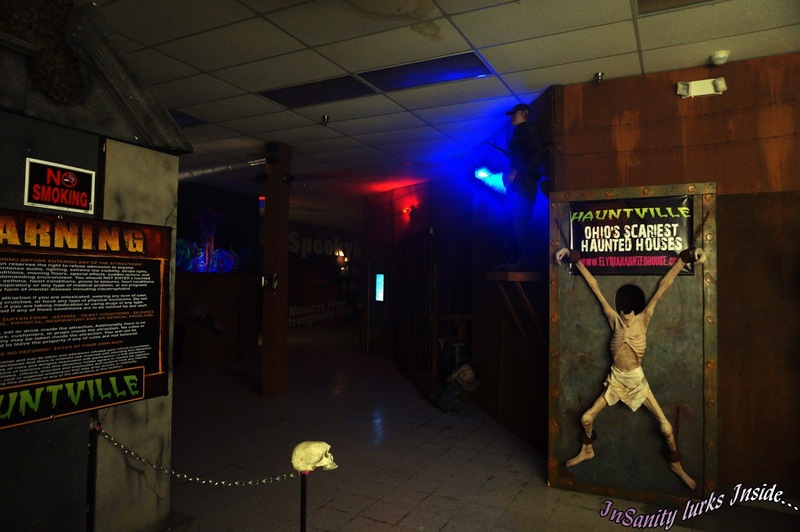 Hauntville has been called one of the best Haunted House attractions in both the Cleveland area and Ohio as a whole. The attraction is open Thursdays-Sundays, and guests with military ID get in free every night except Saturday. 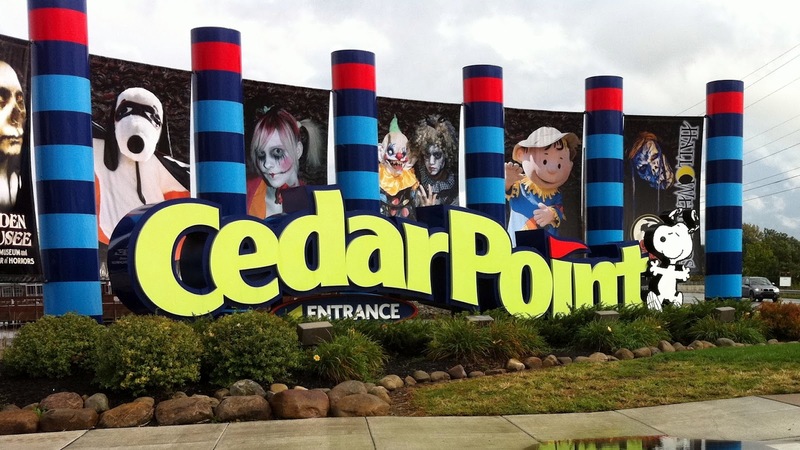 For anyone familiar with amusement parks, Cedar Point is usually one of the best known as the the roller coaster capital of America! But each October, it becomes one of the scare capitals of America! Each Friday, Saturday, and Sunday from September 14th-October 28th, you can experience either The Great Pumpkin Fest, Haunt at Halloweekends, or both! Themed after the beloved Charlie Brown Halloween special, The Great Pumpkin Festival is great for families and kids of all ages. Some of the special activities include arts and crafts, Trick-or-Treat with Peanuts characters, The Great Pumpkin Parade, themed games, rides and attractions, and more! This year, they’ve also added three indoor mazes (without monsters!) to ensure that it’s a great time for small ones: no tricks, all treats! There are also outdoor mazes, like the classic cornstalk maze, and the Magical House at Boo Hill: a walkthrough attraction where all kids get a special surprise at the end! In the evening, things become much less child-friendly with HAUNT, the adult-only horror overlay of the park. Whereas the mazes are friendly and fun during the daytime, at night they become infested with monsters, creatures, and terrifying humans of all sorts that are out to get YOU with jumpscares and terror around every turn. In addition to haunted attractions, there are live shows like “Eternal JAMnation” and other entertainment for when you need brief breaks from the fear. If you’d rather just run from one haunting to the next, you can explore scarezones such as “Cut Throat Grove” (full of ghostly pirates), “Fearground Freakshow” (a creepy carnival gone very wrong), the “Slaughter House” (a scarehouse full of chainsaws and butchers), and “Zombie High School” (exactly what you would expect). New for this year are “Deprivation” (a scarezone where you must find your way in pitch blackness), “Trail of the Forsaken” (a town where people are becoming their own worst nightmares), and “Hexed: Lights Out!” (a maze in the dark where you have only a flashlight to find your way). Oh, and did we mention you can still ride all the rides too? During the week of Halloween, ZipZone outdoor adventures offers the Freaky Flights: ziplining in the dark with a festive twist. With only the light of the moon (or should you be so unlucky, the lack thereof) to light your way, you’ll fly through the treetops while also participating in Halloween activities. Zipline riders are encouraged to wear Halloween costumes (that are safe to wear with a zipline harness! ), and the guides will pick a “best costume” winner by the end of the night. During the tour, guests have the opportunity to “chuck a pumpkin” from the line to win prizes. Advance reservations are required, and these tours run October 27th-30th. If you have a fear of heights or ziplining isn’t your thing, but you still want to experience some outdoor thrills and chills, then Halloween on the Hocking may be for you. This unique experience combines classic outdoor activities like canoeing, tractor rides, and s’mores making but with a Halloween twist. 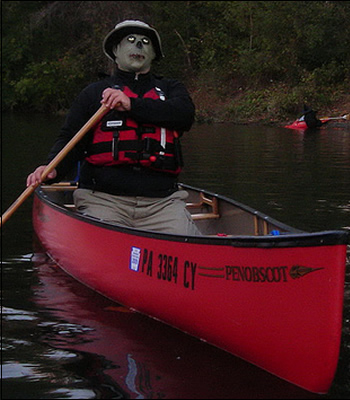 On October 28th, canoe in the dark down the river where you don’t know who (or what) you’ll encounter around each bend before disembarking for the haunted tractor ride. Guests at surrounding campsites can partake in the Hocking Hills Adventures Halloween Party, which is open to all campers and guests, which includes fireside ghost stories from a Native American storyteller, face painting, and a costume and cabin/campsite decoration competitions! This activity is perfect for families and visitors who love camping and the great outdoors as much as they love old-fashioned spooks and scares. While all of these activities are great and generally budget friendly, we understand that sometimes it can just be too hard to get out to experience these in person. 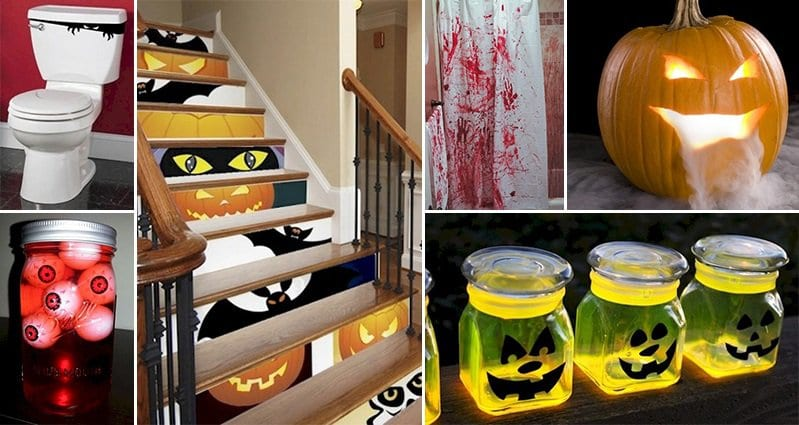 If you find yourself stuck at home this Halloween season, might we suggest the following easy ways to make your home its own special haunt! It’s possible to decorate your home with things you already own or can purchase cheaply (the dollar store and other bargain-bin stores can have great Halloween decor for 1/10th-1/100th of the prices that seasonal Halloween stores ask!) If you have any old linens like towels, sheets, or curtains, draping these over furniture you don’t use much can easily give that haunted-house-vibe! Plastic dollar store tablecloths are very versatile, and you can do things like cut out ominous eyes and faces in them before hanging them over windows and doors. Do you live in an old house? Great! You can probably get that spooky vibe easier than a newer house. Do you have a great staircase? Make it a spooky focal-point with cobwebs on the banister and black-paper silhouettes on the wall. Have a spooky yard? Dig up a small spot of ground, leave a shovel and light of some kind nearby (lanterns are best but flashlights work too!) and put a homemade foam headstone nearby! Or perhaps a “do not disturb” sign if you’re feeling like zombies that day. Spooky Food is always an easy and delicious way to add festive touches to your day. If you carve a little face in an apple (think like a jack-o-lantern!) and then let it dry out, it looks like a little shrunken head! A whole manner of sweet treats can be easily spookified by adding black or orange food dye. Hot dogs wrapped in pastry strips rather than crescent rolls turn into little edible mummies. There are so many possibilities! Whether it’s the theme to the Addams Family, the Great Pumpkin Waltz, the soundtrack to the Exorcist, or Toccata and Fugue in D Minor, there are many songs that are just inextricably linked to Halloween media and the season itself. Play it through your house during a Halloween party or on Halloween night to set the mood or listen to it on your own media player throughout the day for that macabre mood anytime anywhere.